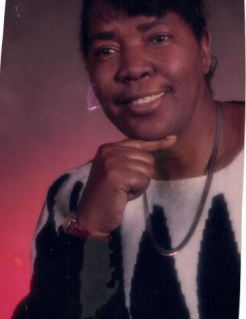 Obituary for Ella "Mae Mae Good" Mae Allgood | Carter Funeral Homes, Inc.
Ella “Mae Mae Good” Allgood (79), of Columbus, OH. Formerly of Elyria, made her transition to Heaven on April 12, 2019, following a long illness. Friends may be received on Thursday, April 18, 2019, in the Original Church of God, 312 Edward Ave, Elyria, OH. From 9:00 a.m. until time of service at 11:00 a.m. Burial at Brookdale, Elyria, OH.